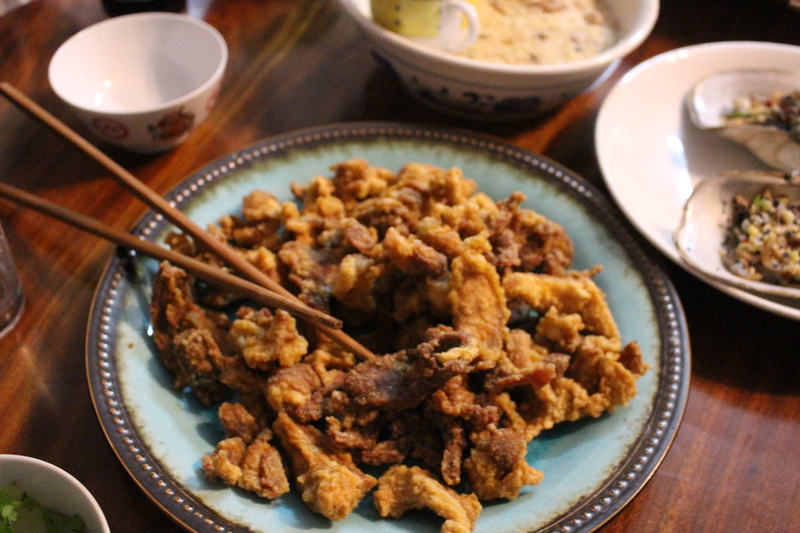 Sesame oil, fresh ginger, garlic and star anise are some of the key flavours of cooking in Chongqing in China. Charlie combined them all with beef https://youtu.be/4YLf63Me6ME to create a rich, succulent dish in his two-tier kitchen hanging over the Yangtze River gorge. 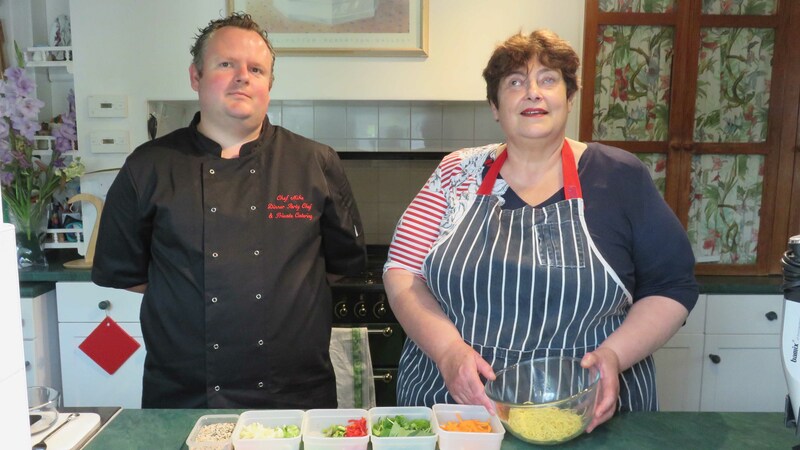 As the designated sous chef, my role was limited to chopping tomatoes and mushrooms but it meant I had time to chat with a local radio presenter and even do a short interview. 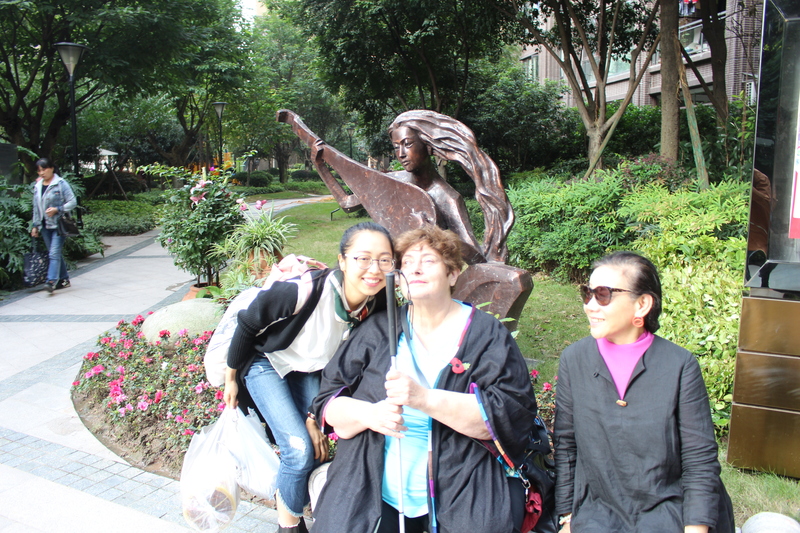 Her programme covers new cultures – introducing the citizens of Chongqing to different music and arts. Charlie himself is active in the cultural scene: his backpacker hostel decorated by different artists is the perfect alternative to anyone who has had enough of super-sophisticated high rise hotels. 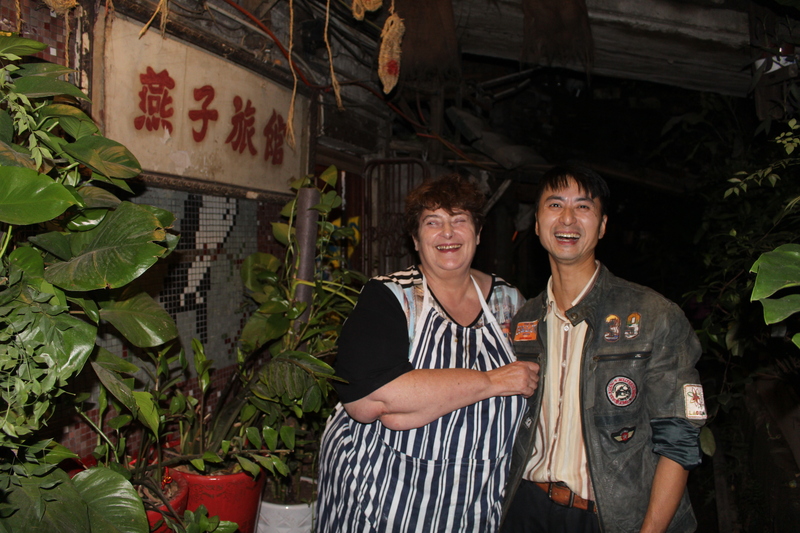 It was a delight to catch another aspect of the creative side of China. Charlie was the most generous of hosts: not only did he give us an extraordinary lunch but, as we left, he pressed a bracelet in to my hand. It was a circle of simple wooden beads made special having been blessed by monks and given by him. A precious moment of a very happy day. I think that we showed how food transcends barriers of disability, culture, language and more: once we were working together, it was easy to communicate our shared enthusiasm and experiences. A true meeting of minds and a language that goes beyond words. Meet the fabulously delightful Charlie https://youtu.be/EiviasoF-NY. His wildly eclectic back-packers hostel in Chongqing, China, is perched on the very lip of the Yangtze River gorge. The building extends down the side of the gorge so, while we could walk in to his dining room, there were steep steps down the outside of the house to his kitchen. And even the kitchen is at different heights with another steep step between the work surface and the cooking area. 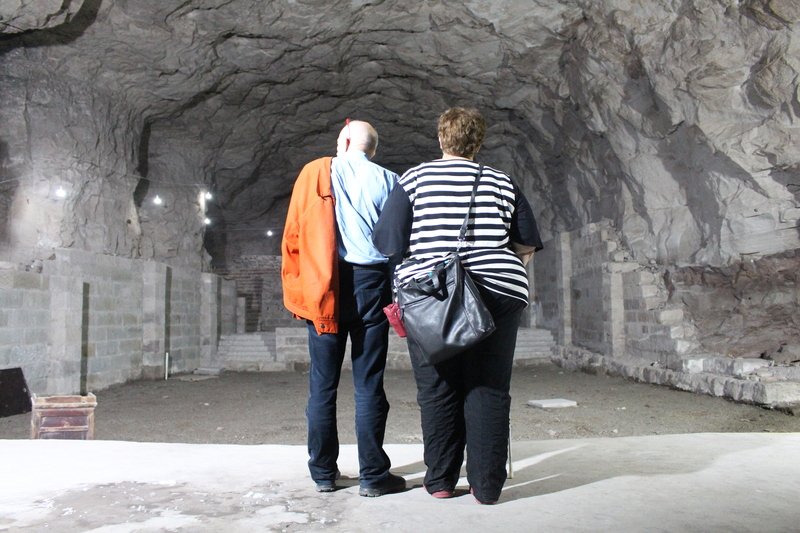 Earlier that day, local architects Matthew and Julia had showed me one of the caverns under the city. It is built on mudstone – a relatively soft rock created by millions of years of sediment from the river. 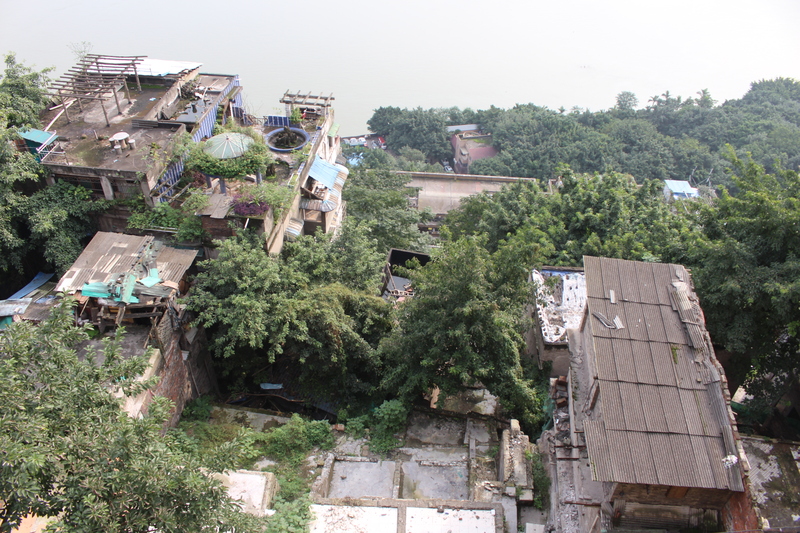 There is a web of tunnels and caverns beneath the city which the residents used as shelters during the Second World War when Chongqing became the alternate Chinese capital. For me, the best element of the cavern was a sonorous echo which managed to make even my be-bopping voice sonorous. Charlie’s hostel is lower down the gorge side than the main city so we approached through narrow alleyways cut through the mudstone. I could feel the rock walls laced with the roots of the trees growing many feet above our heads. 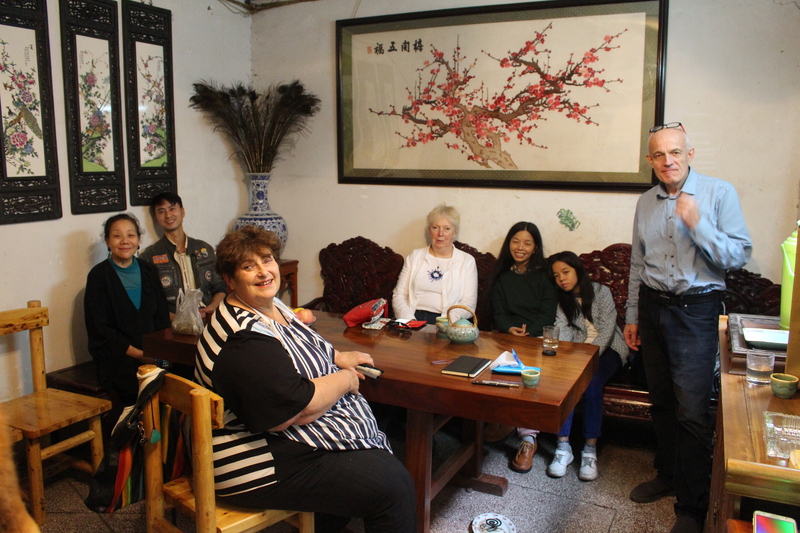 Charlie presented us with his own version of sweet and sour pork – in all, we tasted three different versions during our time in China – and his was embellished with his own vanilla sauce. 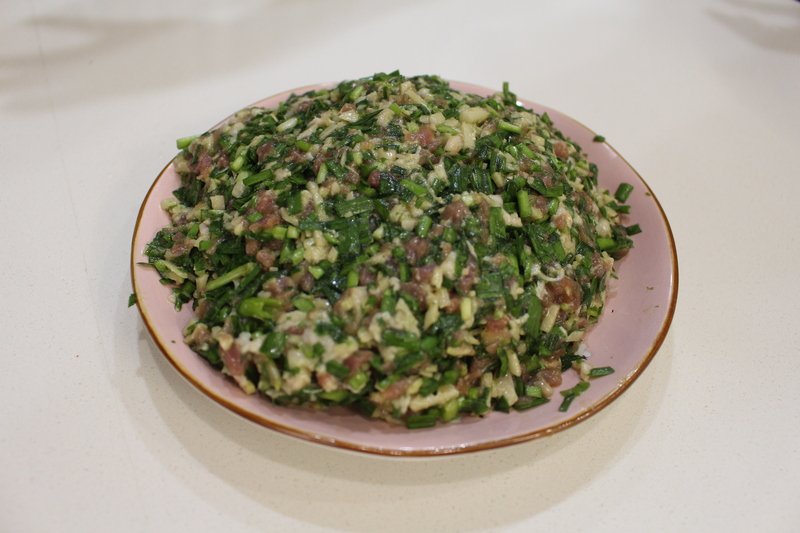 With the speed of his cooking and the difficulties in translation, it was a challenge to catch the recipe but, in reality, it is very simple. Poached pork is cooked in vinegar (with other seasoning) until the liquid has reduced and then sugar is tossed in to caramelise. The best tip is to take enough time to let the liquid evaporate – an easy dish but it takes patience. Do have a look at his kitchen too – it gives a perspective on Chinese home-life that is full of history, tradition, charm and originality. It was very special to learn from his generosity of spirit and get a real sense of the joy and exuberance of Chinese life. The Garden Restaurant is part of a complex developed by young local entrepreneur Lee Bo. He’s supporting the traditional flower market, providing a library for residents and a shop for handmade arts and crafts. All of this is nestled amongst the narrow alleyways, steep steps and traditional buildings in soft stone and brick – a welcome contrast to the hard glass and steel of the city’s modern high-rise areas. People in China are realising that travellers from all over the world want to see and experience the charm and attraction of the city’s history, to capture a sense of how it is evolving without losing its character. 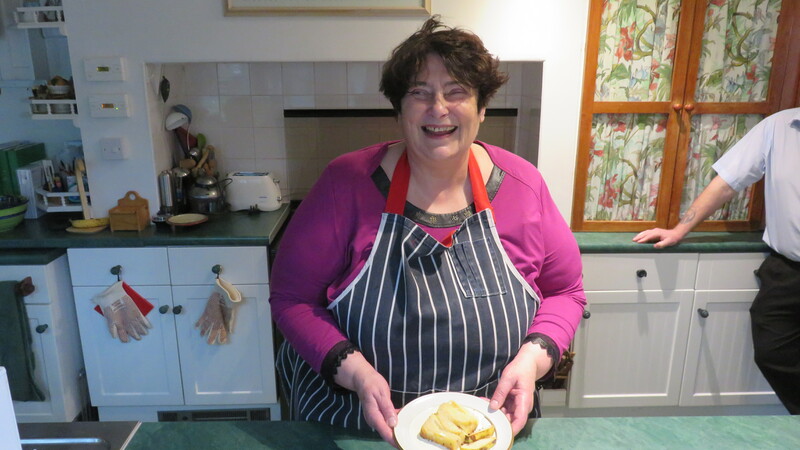 It was completely impossible for me to be involved in the cooking: all that noise; the risk of woks of boiling oil over the roaring flames; Julia from the Rotary Club trying to keep up with the translation; a busy kitchen full of chefs in the middle of a frantic lunch service. But it was fascinating to learn how just a few simple ingredients came together to create delicious fish in a light and crisp sweet potato batter and prawns redolent with black garlic. 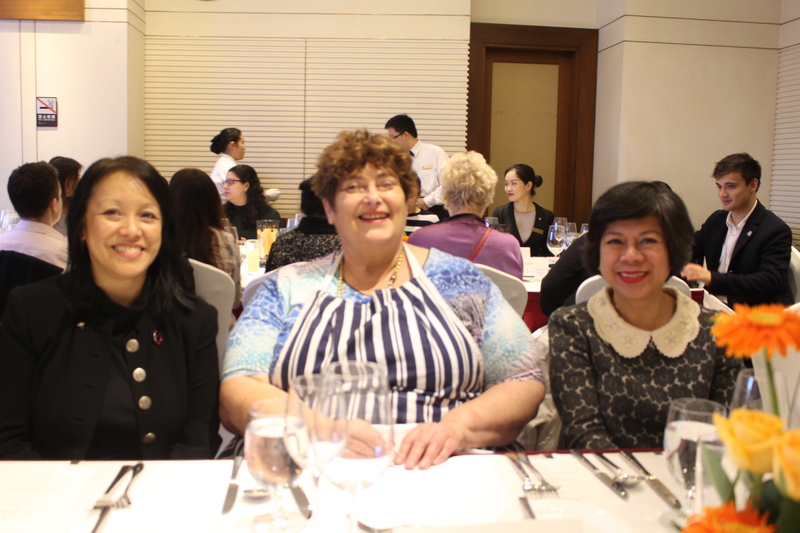 It was a true masterclass of Chinese cuisine that produced a memorable lunch. We had another special treat: tiny shallow bowls just 3 centimetres wide of “puer” tea from the Yunnan Province with the reputation of being good for the digestion. The leaves of this very expensive tea are either fresh or have been dry-toasted in a wok before hot water is poured over them. Julia explained, “Chinese tea is like Western wine: it is a collector’s item and some teas improve the longer they are kept. Some teas cost tens of thousands of pounds.” I confess that my palate just wasn’t refined or experienced enough to recognise the uniqueness of this tea – but I certainly didn’t have any problems with my digestion. Nothing like those floating-on-stew versions. These are delicate morsels of pork and leek wrapped in thin dough “skins” and steamed for the people of Chongqing to eat on their way to another busy working day – and so much healthier than our traditional English fry-up. You can see (https://youtu.be/rTcgbQwDLsw) my very poor efforts to make them despite the help of a dumpling professional. 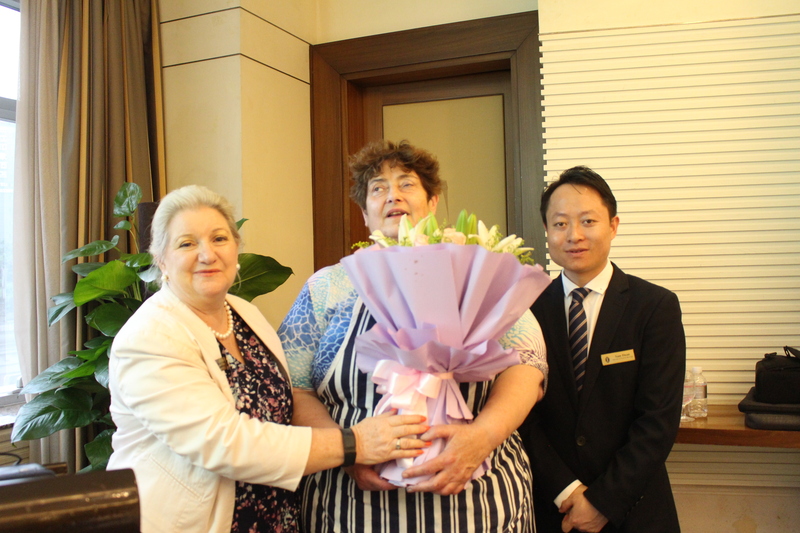 Wang Yi, our hostess for the day, introduced her aunt, Yinyishu, who has worked in a baozi shop for over 25 years. It is tough work that starts at 3 in the morning as her customers want their breakfast at about 6.00 a.m. The dough for the Jiaozi dumplings is just flour and water with a pinch of salt while yeast is added for the baozi version. The fillings are very similar: finely minced pork, ginger and lotus root pieces plus leek in the jiaozi and spring onion in the baozi. The shaping of the dumplings was the difficult part. 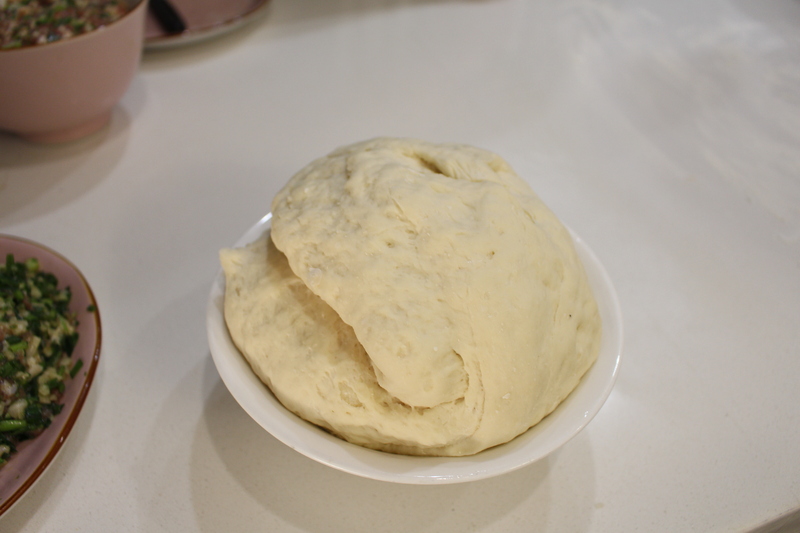 The risen baozi dough was the most straightforward: small circles of dough rolled thinner all around the edge and then simply folded in half over the filling and pinched closed. 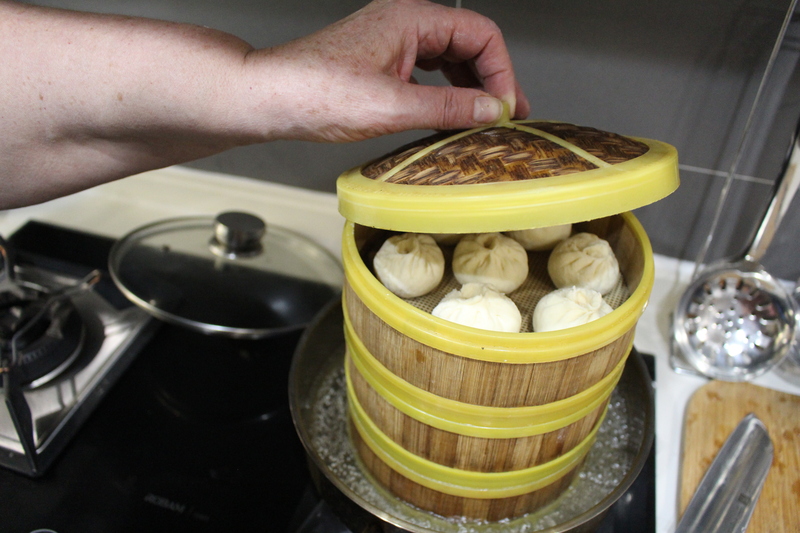 But the jiaozi confounded everyone: the same small circles with thinner edges that were somehow rolled and pinched over the middle of the filling while the whole dumpling was rotated in the other hand. They were just too soft and delicate for my sense of touch to decipher. Yinyishu couldn’t stand my ineptitude and finished the lot! Even Julia, from the local Rotary Club who was helping with translation, had difficulty. 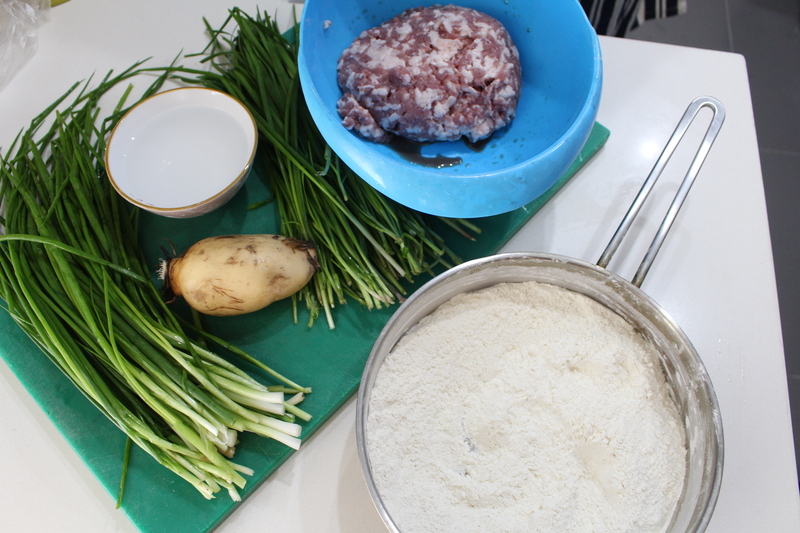 And further thanks to Hanying who allowed us all in to her kitchen for the dumpling class. 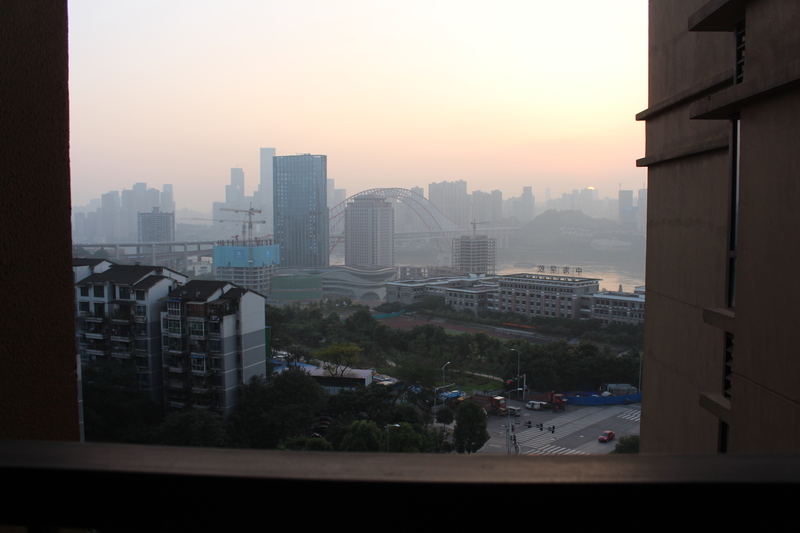 Her apartment is in one of a group of blocks surrounded by expansive lawns and gardens in Chongqing, the largest city in the world. It was a privilege to be in her home and to hear the children playing outside, neighbours chatting on a bench in the sun and the soft buzz of traffic in the distance. Her kitchen was completely familiar in layout and design – every feature I’d recognise from my own but just tiny to match the smaller stature of Chinese people. I felt rather like a giant looming over her and could sit on the work surfaces as if they were high-stools. The whole day was a perfect experience of life in developing China: the modern vibrant environment alongside cuisine that still has all the traditional skills and flavours. Pleasing powerful Ladies who Lunch. Imagine your very first cookery demonstration: not even in a kitchen; supported by a chef who barely speaks English; an audience of the most powerful women in the world’s largest city. Daunting or what? I desperately fell back on the tried-and-tested Victoria sponge but with a little twist to make it my own (https://youtu.be/0H0jPBwpD1M). 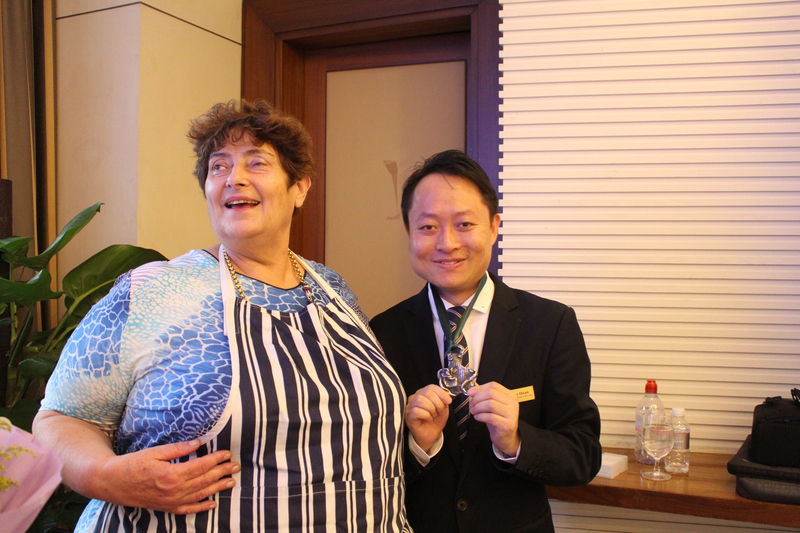 I was in Chongqing in China with one of the top chefs, Frank, at the prestigious InterContinental Hotel. We were providing the entertainment for the regular lunch of the International Women’s Group. This was a truly impressive gathering of the key female influencers in this vast city of 37 million people: Consuls general heading up the local representation of their national embassies; leaders in business and academia; my Rotary Club sponsors; movers and shakers in heels. And this was my initiation audience so I chose something hopefully foolproof and quintessentially English. Frank and super-Beverages and Food Manager, Sam, did all the hard work. All I had to do was crack the eggs and turn on the mixer. I just tossed raspberries in to the mix and let Frank carry it away to the oven. Hardly testing or high cuisine! My mini-sponges looked suitably simple alongside the accompaniment Frank had produced: a delectable chocolate stiletto shoe each garnished with fruit. He was just showing off and definitely caught the attention of the whole group. It was clearly the difference between a truly professional chef and yours truly – but did he have to rub it in so hard? Frank and I had a great time working together – I just wish we had been able to do more. But the lunch was another chance to spread the word that disability needn’t be the end of the world – just give us a chance to show what we can do. 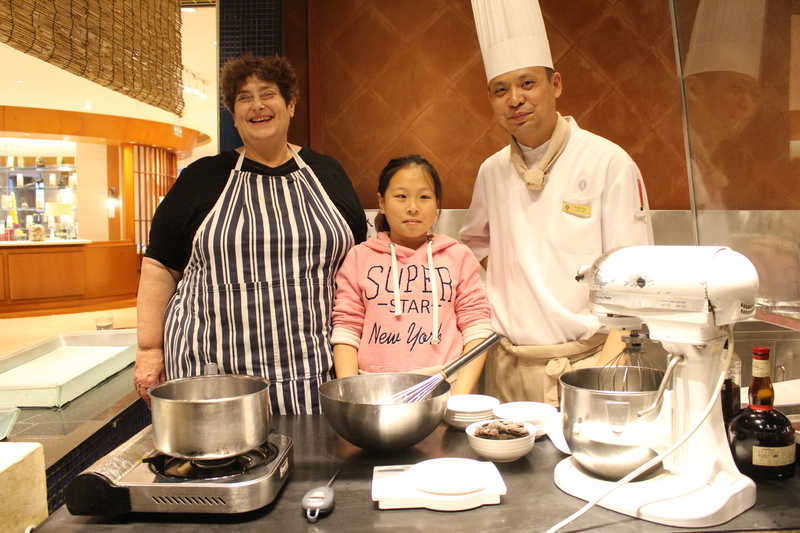 Cooking alongside another young blind woman in China, together we learned a classic chocolate Mousse during a session with Intercontinental chef, frank (https://youtu.be/wwNtojsbuuU ). Lisa was intrigued by the talking thermometer and I was too by the practical demonstration as to how altitude makes such a difference to the boiling temperature of liquids. 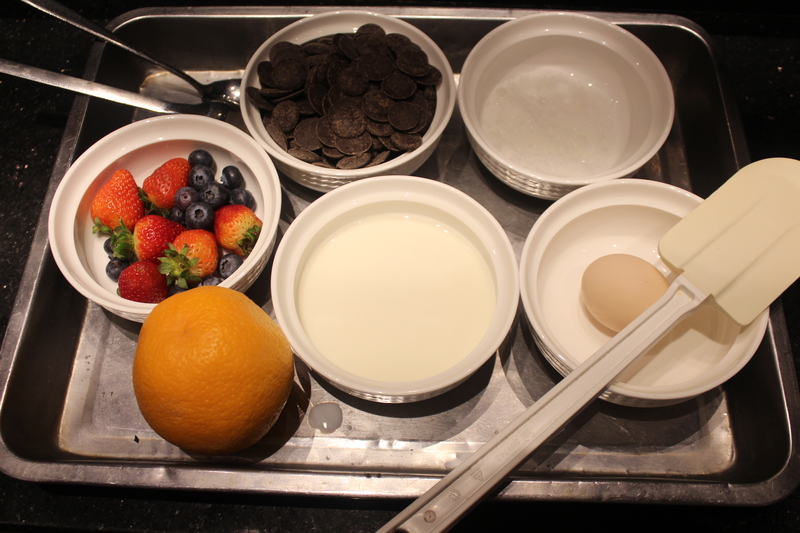 Once the milk had boiled, it was cooled by adding chocolate and then eggs until the whipped cream could be folded through when the mix was at 30 degrees centigrade. Once cooled and set, the mousse can be served with our very easy strawberries steeped in orange juice, a little sugar and a splash of optional orange liqueur. We had been trying to use very simple processes with a few ingredients that weren’t too expensive or strange for these two young women with virtually no kitchen experience. And the Intercontinental team put together a parcel of other western dishes for them to take home, share and learn more flavours. Lisa was very tiny and, although trained as a medical masseuse, is just too small to practice her skill. Instead, she is trying to generate income through her handicrafts. 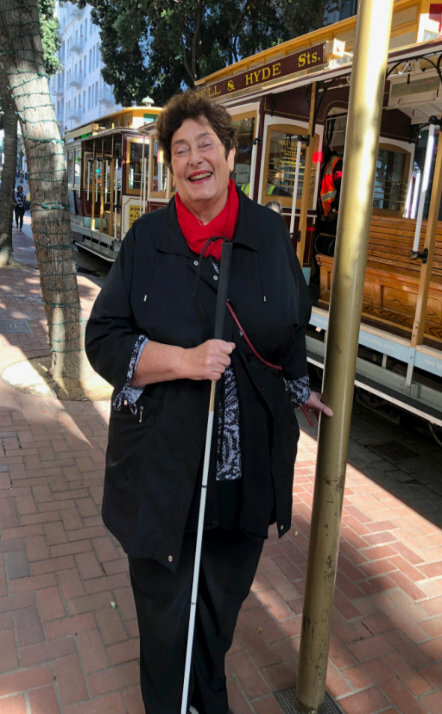 She has some limited residual vision so doesn’t use a white cane and is wildly independent. 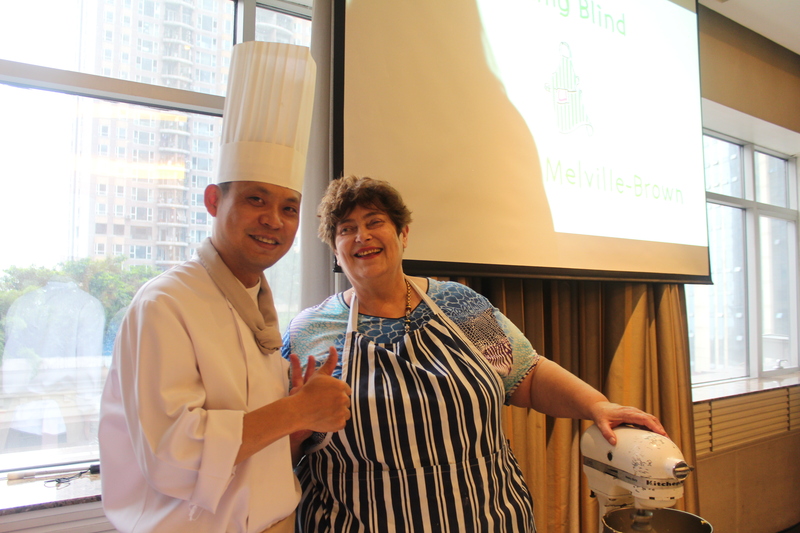 It was a time to treasure: the two blind women had been with us at the Intercontinental for lunch and then cooking in to the early evening. They were enthusiastic and self-confident – great examples of how education and training could equip them for life. 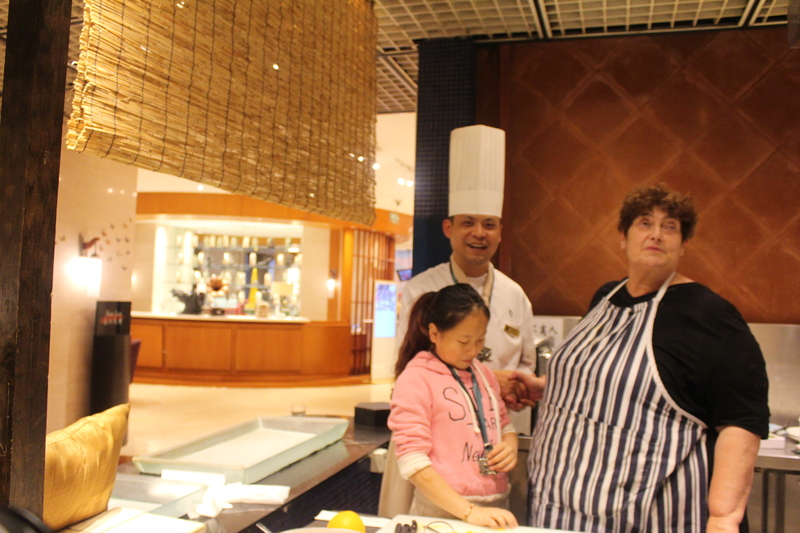 Alongside the Intercontinental chefs were wonderful in their support, patience and empathy. It seemed to me that both the chefs and young women were having a completely new experience cooking together: finding that food was a force for breaking down barriers. I tried to stand back and give them time to learn about each other’s lives. Voice-activated. Voice activated is all about using one’s voice to make things happen – rather than pressing a button etc. One can do some of this through gadgets such as Amazon’s Alexa. I have one of these and primarily use it as a radio (voice activated switching on/off and adjusting the volume), setting timers when I’m cooking, setting alarms, asking the time. One can do more if you sign up for amazon Music etc. There are also lights that can link with alexa so that they will go on/off/dim/change colour with voice commands. There are also gadgets that go in to electric wall sockets in to which you plug an electrical appliance (e.g. table lamp) that can be controlled by voice via alexa. There are some other kitchen gadgets etc that can be controlled by voice but I don’t have any (other than Alan!). Laptop/PC. I use JAWS software – about £800 (and blind people don’t pay VAT for this or any other of the following). To make this work best, one has to be a touch-typist which is very easy to become (I learned with an hour a day over a summer holiday). However, some training to use JAWS is probably worthwhile. Instead of using a mouse and on-screen-cursor, one uses key strokes plus the letters/numbers on the keyboard. As one types, the IT speaks each letter/number and, when the space bar is pressed, speaks the whole word. I can probably type faster than most sighted people, use it all the time for e-mails, writing and reading documents, running my calendar and more. There are also some simpler screen readers available for free on-line and via PC operating systems. Look in Control Panel and Accessibility if you are using Microsoft – there are ways of permanently enlarging text, increasing screen contrast (for those with some residual sight), plus some basic screen reading facilities. Mobile phone. I investigated a smart phone with pre-installed software specifically for blind people but found that it didn’t offer more than is free elsewhere as downloadable apps while many useful functions of the phone were no longer available. But then I may be something of a Luddite. Instead I prefer my I-phone and use the Voice Over facility (Settings, General, Accessibility) which enables me to find out what is on screen. There are slightly different finger strokes etc when using this but these aren’t difficult to learn. I particularly use voice with the phone: dictating replies to e-mails but the voice recognition isn’t great and I have difficulty correcting. Hence, my replies often read rather oddly! But it is good for quick response to friends rather than carefully phrased replies on significant matters. The phone also has Ciri whom I can ask by voice for the time, setting alarms and more. MP3 Player. I have Milestones made in Switzerland. These are small enough to clip to a bra strap so I always carry one with me. On the Milestone you can listen to audio books, music, radio, dictate notes, set alarms, tell the time and more. Books and music are read on the Milestone once they have been copied on to an SD card via the PC. These are no longer available from RNIB but can be bought (perhaps £300). With a bit of on-line research. Talking books. I have a vast collection of unabridged talking books on cassette – mainly murder stories, crime thrillers etc – and would be very happy to pass them on. Otherwise, there are two main libraries for talking books: RNIB and Calibre. I still get unabridged books on CD because this has become most manageable for me but one can also obtain as downloads and in other formats. However, neither library is very easy to access so, with RNIB, I have an Author List so that I get any books by those writers as they are released. Talking scales and thermometers. These are essential kitchen equipment for me and are available via RNIB. However, the speaking voice on the scales has very poor diction so isn’t the easiest to understand if the kitchen is busy and noisy. I wouldn’t bother with speaking jugs as too bulky and not needed if one remembers that 10 millilitres of water weighs 10 milligrams. Breville hotpot. Pouring boiling water from a kettle in to a cup can be pretty harzardous. There are some liquid measures that slip over the lip of a cup and beep when the water reaches a set level (and again when you add the milk) but these are a pain. Instead I use a “mainstream” type of kettle made, I think, by Breville. It has a tank that is filled with cold water (not difficult). One presses a button which results in a pre-measured amount of water being heated to boiling and then automatically dispensed in to the waiting cup/mug. I have an old version which was excellent as one could adjust the amount of water dispensed but I’m not sure if the more recent versions have this function. Either way, it is just a matter of making sure you have the right size mugs! It is good being able to put the mug with instant coffee or a tea bag under the spout, press the button and walk away while it does the job. Labelling. I have an ID-Mate in the kitchen and another in the bedroom for clothes. The old version is much better than the new one which is so much slower and more complicated. They come with bar codes that can be ironed on to clothes, stuck on to food containers and more. One presents the label to the machine, press a button to dictate what the item is, and then it will be read back each time the item is presented. The huge benefit of the ID Mate is that it can read commercial bar codes. This means that if it reads a bag of flour’s bar code once and you keep buying the same brand, it will read back to you the same voice label as you input for the original bag. There are also voice labeling pens that come with their own barcode labels. But some of these won’t go through a dishwasher or the freezer and microwave. My favourite is the VoiLa Pen which seems to be no longer available in the UK (but in the USA). It has the labels held within a plastic frame which makes them easy to find in the freezer and to strike with the reading pen. One swipes the label with the pen and then dictates the item name; swipe again, and you will hear your voice reading the label. I found some good superglue that works in extreme temperatures to stick the labels on to the lids of foodboxes. Food boxes. Speaking of which, I swear by the Lakeland boxes: they come in three different sizes that all stack but with the same size lid. So no more hunting through cupboards to find the right lid. With a voice pen, I use these all the time in freezer, microwave and dishwasher. Keeping things neat, clean and organised is so important when one can’t see. Microwave. There are talking microwaves but I still prefer the rather old-fashioned versions which have dials rather than buttons and digital displays. I’ve forgotten what each position on the timer dial means but have simply learned from constant use. But these too are becoming harder to find. Other kitchen appliances. I use gas on my hob and oven as I can hear it burning, but I did get an oven with very tactile controls so that I regularly check them plus a glass pull-down top for the hob which automatically switches off the gas to the hob. It works really well. Both my dishwasher and washing machine have one-button-operation. They have both been pre-set so all I have to do is throw in the washing tablet and press a button. The Bosch fridge is great in having pull-out shelves (like drawers) but a pain in having temperature buttons that are too easy to touch and, unknowingly, change the temperature. I’ve mentioned makes that I’ve tested – there are possibly others available that do similar jobs. Prices will change with time – I’m writing this in February 2019.